Resituating the place of living and non-living in contemporary urban Tokyo. The article explores the multiple levels through which Ruriko-in renegotiates the place of the dead in the space and time of the living in contemporary Tokyo. Specifically, we focus on the manner in which by virtue of its unique architectural form and its deployment of automated technologies, Ruriko-in remediates the place of the grave in urban Japan while working to resolve current social and cultural concerns regarding the relationship, or rather lack thereof, with the deceased. In so doing, we treat the location of the temple in Shinjuku and its proximity with Shinjuku Station as more than coincidence. We argue that as an architecturally dense distillation of urbanization, Shinjuku offers a paradoxical provocation: It articulates the urgent need for reme- diating the relationship between the living and the dead while simultane- ously providing various material and immaterial strategies for realizing that remediation. This article is an expanded commentary on the essay “The Social Life of ‘Scaffolds’: Examining Human Rights in Regenerative Medicine” for the proposed special issue of ST&HV, “New Technologies, Developments in the Biosciences and the New Frontiers of Human Rights.” In discussing the limits and possibilities of the essay, this commentary suggests that pro- blematizing scaffolds in regenerative medicine as a kind of infrastructure rather than prosthetic opens the way for understanding complicates an understanding of the genesis of regenerative assemblages in ways that help to reframe inherent issues of human rights. Ultimately, it proposes the notion of experimental ecologies as a way of thinking about an ethically driven productive entanglement of bodies, environments, and technology. Biomimicry is a rising popular ecology movement and method that urges the derivation of innovative and environmentally sound design from organic systems. This essay explores the notion of nature in biomimicry as articu- lated by the movement’s founder, Janine Benyus, and the nature of biomi- micry as practiced by the Massachusetts Institute of Technology (MIT) media ecologist Neri Oxman. Benyus’s approach, I show, promotes bio- mimicry as a science of nature in which nature is treated as a source for innovative design that can be emulated in technological apparatus. Such an approach is problematic, I argue, for its valorization of organic form, which results in both a rigid system of ethics demanding absolute separation of nature and technology. By contrast, Oxman’s work, I show, pursues bio- mimicry as a technology of nature. 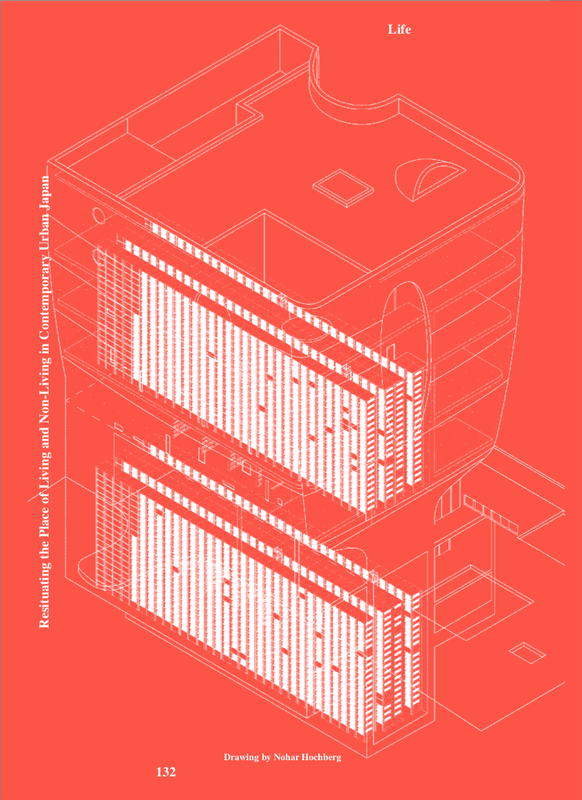 In so doing, I argue, it mobilizes a neomaterialist style of interaction with organic materials that ultimately enjoins a radically different way of thinking nature, technology, and technoethics. As the train slows to a halt between stations, commuters wait with dreaded anticipation for the familiar announcement: “Currently, due to the effects of a [human] body accident, this train has stopped. We apologize for any inconvenience and hope to resume service soon.” Every commuter has learned to decode the otherwise indeterminate expression “[human] body accident” (jinshin jiko). Composed of the Chinese characters for “body” and “accident,” the four-character term is a general classification for any incident involving human injury or death as a result of a mishap with a vehicle. Commuters know, however, that in the context of the commuter train network “[human] body accident” almost always means that someone has committed suicide by jumping in front of a train. They have learned as well that if the announcement does not mention a rescue under way, then train service will most likely resume within approximately 40 minutes. For the unlucky commuters trapped in rush-hour trains stopped between stations, which can be packed to over two hundred percent beyond capacity, 40 minutes is a very long time. The time is passed in a silence punctuated only by the odd status announcement from the conductor and the soft clicking of smartphone keys as commuters correspond with employees, employers, friends, and family, informing them that “yet again” they will be late because of a jinshin jiko. Media matters, Friedrich Kittler reminds us. Without media the world is senseless, or rather we are senseless before it. More importantly, media matter in different ways such that the world mediated via pen and paper is essentially different from a world mediated via the typewriter or film. The digitalization of media, in this context, presents as many possibilities as it does causes for anxiety. Digital media matters, that is, in a way that is different from the analog media that dominated the twentieth century. Or as Kittler suggests, “before the end, something is coming to an end,” where the former “end” is an end of media anticipated by the latter “end” of a culture that has been the byproduct of analog media’s incommensurable formats (Kittler, 1999: 1- 2). While digital media reduces previously discrete sensory data channels into a single stream of zeros and ones, it does not, Kittler emphasizes, stream effects directly into the brain such that we can take leave of our senses. The consequence is that “there are still media; there is still entertainment.” But, we need to add, it is a different kind of entertainment. 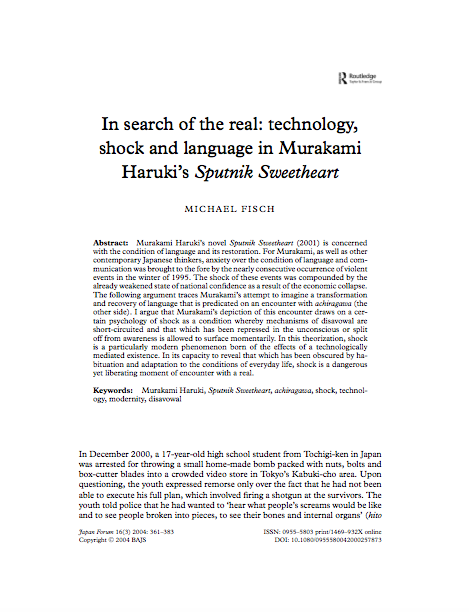 Murakami Haruki’s novel Sputnik Sweetheart (2001) is concerned with the condition of language and its restoration. For Murakami, as well as other contemporary Japanese thinkers, anxiety over the condition of language and communication was brought to the fore by the nearly consecutive occurrence of violent events in the winter of 1995. The shock of these events was compounded by the already weakened state of national confidence as a result of the economic collapse. The following argument traces Murakami’s attempt to imagine a transformation and recovery of language that is predicated on an encounter with achiragawa (the other side). 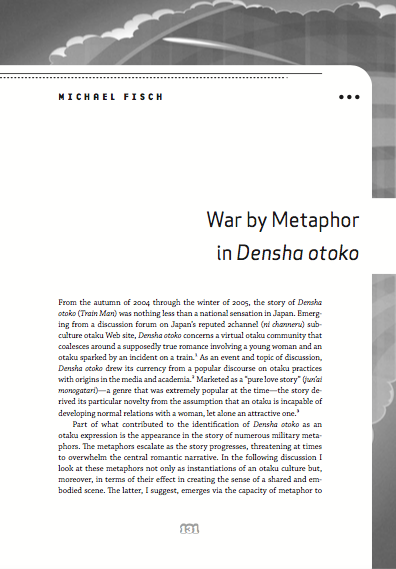 I argue that Murakami’s depiction of this encounter draws on a certain psychology of shock as a condition whereby mechanisms of disavowal are short-circuited and that which has been repressed in the unconscious or split off from awareness is allowed to surface momentarily. In this theorization, shock is a particularly modern phenomenon born of the effects of a technologically mediated existence. In its capacity to reveal that which has been obscured by habituation and adaptation to the conditions of everyday life, shock is a dangerous yet liberating moment of encounter with a real. 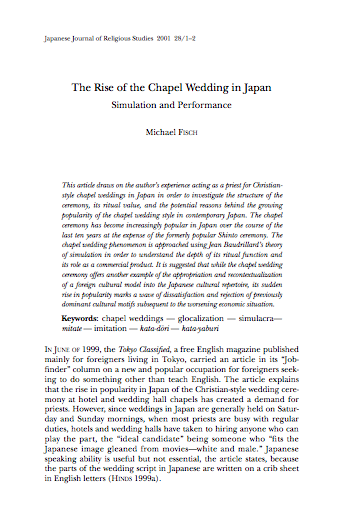 This article draws on the author’s experience acting as a priest for Christian- style chapel weddings in Japan in order to investigate the structure of the ceremony, its ritual value, and the potential reasons behind the growing popularity of the chapel wedding style in contemporary Japan. The chapel ceremony has become increasingly popular in Japan over the course of the last ten years at the expense of the formerly popular Shinto ceremony. The chapel wedding phenomenon is approached using Jean Baudrillard’s theory of simulation in order to understand the depth of its ritual function and its role as a commercial product. It is suggested that while the chapel wedding ceremony offers another example of the appropriation and recontextualization of a foreign cultural model into the Japanese cultural repertoire, its sudden rise in popularity marks a wave of dissatisfaction and rejection of previously dominant cultural motifs subsequent to the worsening economic situation. Oshii Mamoru's film "Patlabor II" engages questions of Japan's future and its involvement in United Nations peacekeeping forces within a science fiction narrative that allegorically reflects-and critiques-the politics and society of postwar Japan. In addition, the film muses upon the nation's experience in World War II and the nature of the ensuing peace under the American treaty. What is at stake in Patlabor II is nothing less than Japan's current and future international position: while the film represents the country's dominant pacifist mood as well as recent debates over participation in regular UN peacekeeping operations, what finally emerges is a nationalist voice supporting the idea that Japan take responsibility for its own self-defense and expand its role in international affairs. This voice often employs a strong, if implicit, anti-American rhetoric, evoking the imperative for national unity by situating the US as a potential threat. 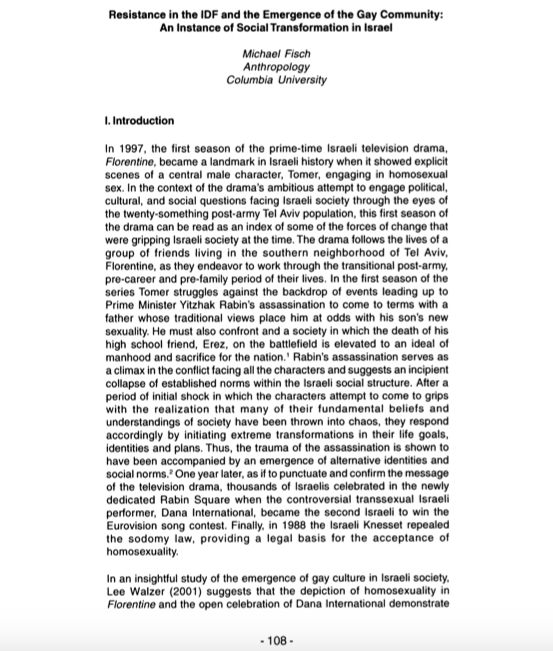 These rhetorical postures and ideological viewpoints are weighed and analyzed in the context of Andrew Tudor's influential distinction between the "secure" and the "paranoid" subgenres of the sf-horror film.